'Beautiful' may not be the first word to come to mind when you think of an office chair, but the new HÅG SoFi mesh back is poised to rewrite the rules. Like the space they exist in, office chairs have traditionally been functional and utilitarian. Built for purpose not beauty, they're the workhorses of the office, not the ornamentation. But there is one manufacturer that takes aesthetics very seriously, especially when it comes to office furniture. 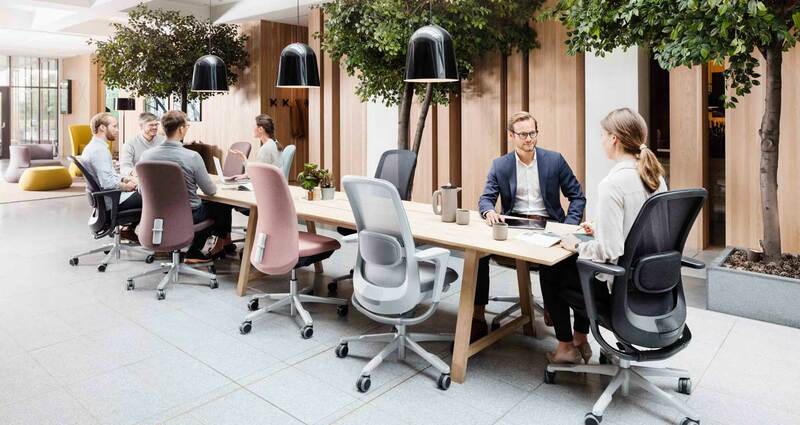 HÅG - the Scandinavian name behind the brand new SoFi mesh-back ergonomic task chair, is a market leader in 'designer' chairs. There are feminine connotations when we talk of beauty, and the SoFi itself (or herself?) is every bit as feminine as it sounds. From the soft, muted glow of light diffusing through the innovative mesh back, to the way all of the moving parts have been encased in smooth, curvaceous bodywork - everything about this chair is rather easy on the eye. 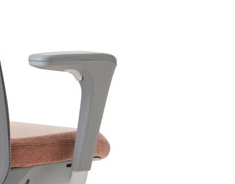 But the real test, at least for us, is whether or not the new SoFi mesh will meet the high standards of our resident Seating Consultant David Kirtley. David says: "I've been in this industry for *coughs* nearly 16 years, and have seen new products come to the market - and in some cases disappear nearly as quickly as they were launched. "I have tried and tested hundreds, if not thousands of chairs during this time, from the unconventional chairs trying to 'reinvent' sitting, to the chairs that you need to remortgage your house to afford (or at least put a bet on a Leicester City–Brexit–Trump treble). "Even so, I can see that the new SoFi is staggeringly good. First of all it’s great to look at. From a distance and close up it looks amazing. From almost every angle it ‘smiles’ at you, and invites you to sit down." This 'inviting' look is no accident. As with all design there is a psychology behind office chair aesthetics that evolves with the trends of the moment. Technological advances in recent years have blurred the lines between work and home, allowing us to work more flexibly and slip seamlessly between our domestic and professional environments. This idea is reflected in various elements of the SoFi. The rounded edges of the SoFi's high backrest are faintly reminiscent of a comfortable lounge chair - a world away from the skimpy rests typical of low-cost task seating. 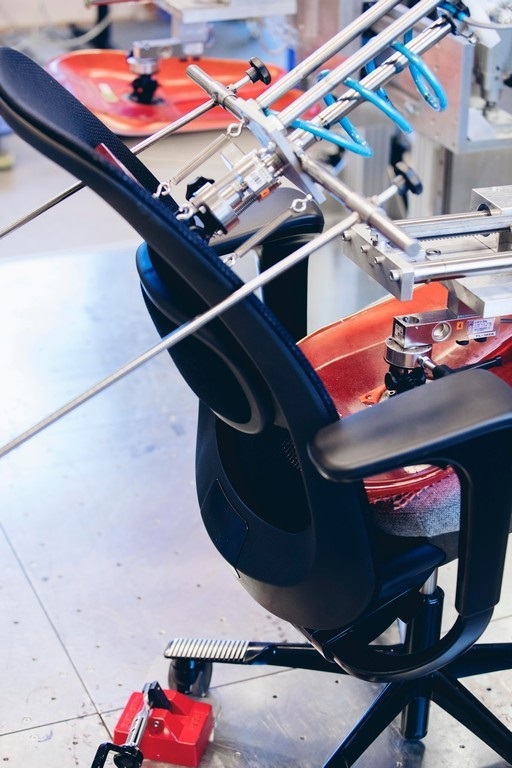 According to David, HÅG and design partners Powerdesign and Frost Produkt have also improved the quality of the foam in the seat, which he says: "gives it a comfortable softness, while reminding you it’s there for support. Nestle into the backrest, and for the first time ever you've got a mesh backed chair that gives proper lumbar support." Meshed back - what's all that about? HÅG and the brand's owners Scandinavian Business Seating (SBS) have resisted the urge to produce a mesh back chair for many years. 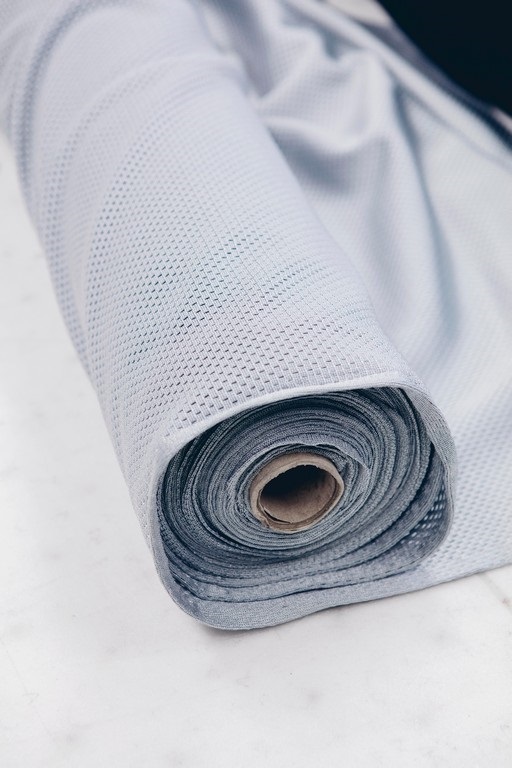 Typically, mesh won't distribute body weight as well as a fully upholstered alternative - which from an ergonomic perspective, could be a problem. However, HÅG has used the new SoFi as a chance to innovate in this area. They have created a new 'warp knitted' heavy duty type of mesh. This unique yarn construction strengthens the material and provides better support for the back for a longer period of time. It also gives the chair a stylish edge that looks appealingly contemporary in any space - whether it's an office, boardroom, or home set-up. David says: "Unlike its solid backrest sibling (I can't decide whether it’s a brother or sister), the mesh backrest is only available in one height: what I would call a high backrest, so it offers support through the full length of the spine. You can top it off with a neckrest, but personally, I don’t think it needs it." "The armrests are solid, and robust with a soft feel, and the slide back function is a very affordable upgrade but worth every penny." "The lumbar panel is significant in size, so it looks like it makes a difference and isn't just there to tick the ‘lumbar support’ box. It is housed within the mesh frame and has eight different height positions on a classy ratchet mechanism. I can sit back and feel like I could stay like that for hours. But of course, 'the best sitting position is always the next one,' as HÅG famously says." So has anything been done by HÅG to encourage 'active sitting'? With headlines in recent years condemning all office workers to an early death by something akin to the effects of smoking, what has HÅG done to encourage more activity? HÅG is at the forefront of the 'movement' movement. In fact it's one of their core design principles. David says: "Sitting is NOT the new smoking, and it certainly won't kill you to sit in the SoFi chair. With recent research showing that you actually move more in the HÅG SoFi compared to conventional sitting, standing and a synchro-mechanism chairs, I am starting to run out of reasons not to try one of these. 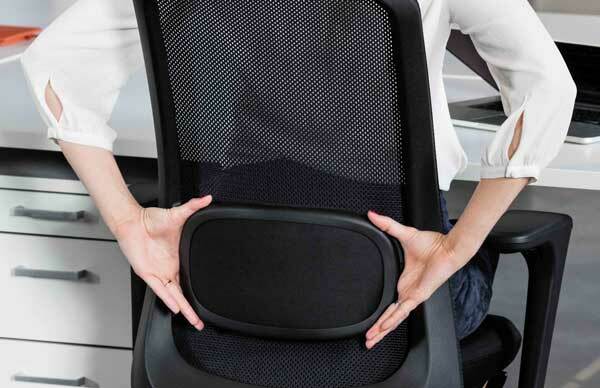 "Using their patented Balanced Movement Mechanism, you don’t alter the tension of the chair. You alter its liveliness. So if you like a chair that moves, then loosen it off a bit, if you like a firmer ride, then that’s OK. If you absolutely have to ‘lock it off’ then you can, but I still can’t understand why anyone would." Is the HÅG SoFi Mesh the chair for you? It's only been on the market for a few weeks but already the HÅG SoFi is turning heads. We've recently taken an order from a high-end online fashion retailer and we'll be delivering 90 in time for their staff to move in. First and foremost the SoFi mesh-back is an undeniably stylish chair. It combines cutting edge ergonomics with fashion retailer-worthy looks. It also comes with the prestigious HÅG name and everything that comes with being a best-selling Scandinavian design. The hallmark of a high end product is the opportunity for customisation. With four options on the aluminium finish (white, grey, black and polished), two options for the plastic parts (black or grey) and then two mesh options (black or grey), you end up with a chair which already has 16 different combinations. After that you can choose the upholstery for the seat and the lumbar panel (which incidentally, don't have to be the same). And David's final verdict on the new SoFi? "I once asked (HÅG designer) Peter Opsvik which of the chairs that he had designed was his favourite. He told me that it was like having children – he couldn’t pick a favourite. Sorry Peter, this is my new favourite, just don’t tell the other chairs." To book a consultation with a seating expert, or to request a free trial of the HÅG SoFi Mesh, please contact David Kirtley.